These brownies are seriously loaded! You will need to have a glass of milk close by when you eat them- they are so rich . . . and SO GOOD! The layers of creamy frosting mixed with peanuts and rich chocolate and peanut butter mixed with rice krispy cereal make these brownies stand out from just your regular ol’ brownies. They were a huge hit with my family- I hope that yours likes them too! Measure cereal into medium bowl; set aside. In 1-quart saucepan, melt peanut butter and chocolate chips over low heat, stirring constantly. Pour over cereal in bowl, stirring until evenly coated. 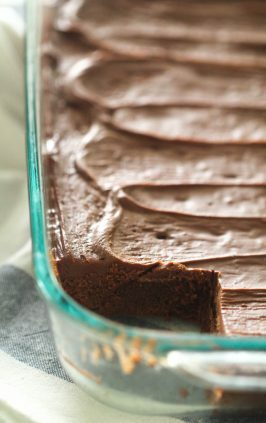 Spread over frosted brownies. Refrigerate 1 hour or until set before cutting. For bars, cut into 4 rows by 4 rows. Store tightly covered at room temperature or in refrigerator. Wow! I am on a sugar high just looking at this dessert. It sounds so yummy. Thanks for sharing and linking to TMTT. MMMMMM sounds way tooo good! can't wait to try! Double frosting! Woot! 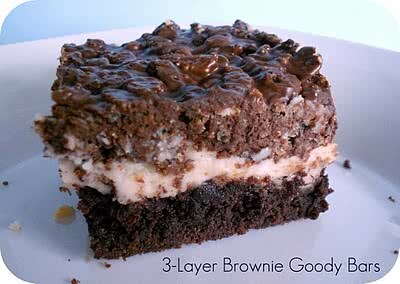 Now that's my kind of brownie! Oh my!!! My mouth is watering!! Thanks again for linking up your fun stuff to Show & Share!! These are excellent brownies. 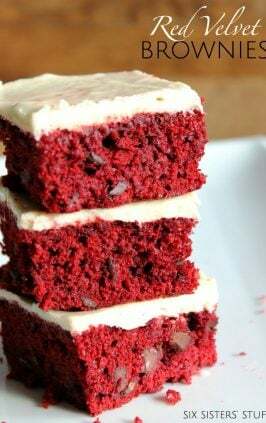 For my frosting though I use 2 sticks of margarine with the rest of the ingredients being the same & it makes for the best possible buttercream frositng give it a try. It's really rich & decadent. 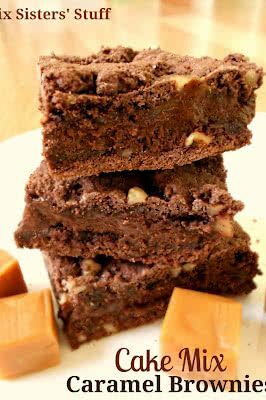 I made these brownies last night and they taste amazing. They were easy to make. You can taste all three layers!! I think next time I will try them with cream cheese frosting instead of vanilla. YUMMY!!!! !